If you want to improve the aesthetics of your property on time and on a budget, consider investing in beautiful outdoor carpet tiles. These products are extremely versatile, low-maintenance, and easy to install. Keep reading to discover everything there is to know about budget-friendly outdoor carpet tiles. Carpet tiles are available in a great variety of shapes, colors, and sizes. This means that you can beautify your outdoor areas and give them a personalized touch by simply installing your favorite type of carpet tiles. The tiny carpet pieces can be placed on the floor without professional help. Some of them are self-adhesive, while the others can be installed after applying special adhesive or carpet tape on the backside of every piece. Carpet tiles can easily transform any ugly, irregular, flat surface into an eye-catchy area with a smooth look that can last for many years without requiring costly maintenance routines. These products can be installed in numerous outdoor spaces, including patios, decks, and pool areas. 1) Clean the area and remove dirt and debris. 2) Measure the whole surface that should be covered with tiles, and buy as many carpet pieces as you need to cover the entire area. 3) Determine the best position for each tile using a piece of chalk. 4) Apply adhesive on the backside of each tile (one dot of adhesive in each corner and another dot in the center of the tile). 5) Cut, install, and press all edge tiles to make them fit perfectly until you finally manage to cover the entire surface and obtain excellent results. Sometimes, choosing the right type of carpet tiles for your outdoor areas can be quite challenging. If you want to make an informed decision, just ask the best carpet cleaners for advice. Find the best ones in your area with TalkLocal, a free service designed to connect you with the best professionals in your area. Sometimes, carpets placed in high-traffic areas get extremely dirty. Most old stains are very difficult to remove; plus the DIY carpet cleaning process itself is very time- and energy-consuming. For this reason, most families choose to rely on professional cleaning services provided by Stanley Steamer Carpet Cleaner. What Makes Stanley Steamer Carpet Cleaner So Special? 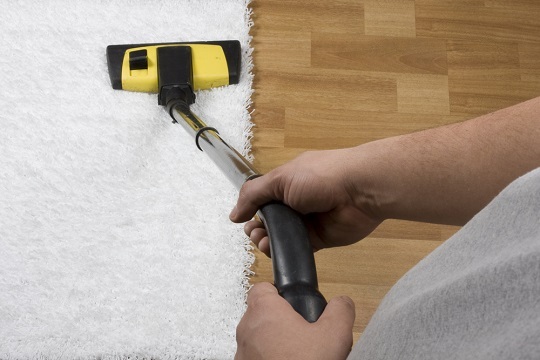 Wondering why Stanley Steamer Carpet Clear is much appreciated for its services? There are a number of reasons why numerous people choose to put their services to the test. 1) It is one of the largest, most popular carpet cleaning companies in the U.S.
2) It provides quality services that come with a 100% client satisfaction guarantee. 3) It uses premium equipment that is manufactured by the company’s hired specialists. 4) It is open 24/7 and ensures excellent services around the clock. 5) It employs only skilled, well-trained technicians who are permanently screened. Stanley Steamer Carpet Cleaner uses its “magic wand” to make dirt particles disappear. In other words, the company relies on a completely safe cleaning method that eliminates all kinds of impurities and stains in a highly effective manner without putting your delicate materials at risk. Moreover, it guarantees up to 95% shorter drying time, compared to the one triggered by standard carpet cleaning services. 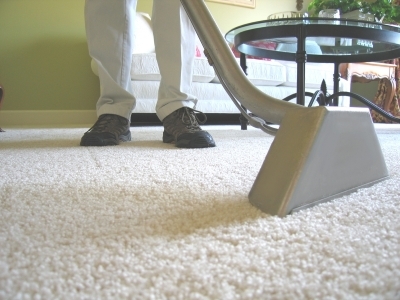 Stanley Steamer Carpet Cleaner also removes moisture from your carpets by relying on suction techniques. Want to keep your carpets in excellent condition without lifting a finger? In this case, compare and rate some of the most convenient carpet cleaning services in your area. Use TalkLocal to identify respectable carpet cleaning pros in your area with just a few clicks. The process is simple, time-effective, and will enable you to simplify all your daily assignments. Flooding is one of the most common hazards in certain regions of the United States, and things are not about to change given the unusual changes in weather and the building of more and more hard surfaces. 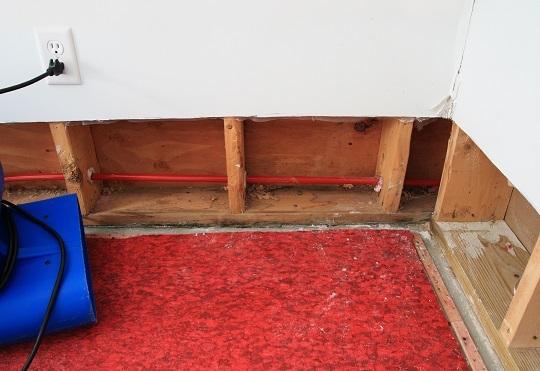 One way to get a flood-proof home is to make the flooring resistant to flooding. Having flood-resistant floors is a must if you reside in a flood-prone town or you have a leaky basement or poor downspouts. If your home is located in an area that is below the 100-year flood level, your floors and walls should be built with flood-resistant materials. Some of these materials include concrete, porcelain tiles, stone lines, laminate, linoleum, and vinyl tiles. Another way to make a flood-proof home is to construct a waterproof barrier over your exterior walls to help keep water from getting in. This job is for a licensed contractor only. The barrier will consist of a course of brick with a waterproof membrane backing. Before installing this barrier, remove the house siding first, and then use exterior-grade plywood sheathing as replacement. If needed, extend the footing of the existing foundation to give additional support to the layer of brick. You will also need to make changes to the interior walls to protect them from water damage when they come into contact with flood water. Use washable closed-cell foam insulation instead of regular batt insulation. Make sure the pieces of wood blocking placed inside the walls are made of exterior-grade lumber. Do note, however, that this method is not applicable if water can enter the house due to groundwater flooding. Coat the flooring with epoxy products to add a waterproof membrane to it. First, clean the floors and make sure all contaminants and dust are removed. It may be necessary to grind the floors to achieve a clean and hard surface. Repair minor flaws such as cracks by grinding these out. Fill any cracks along the wall and floor joint with fillet seal or epoxy patch repair mortar. Next, apply a coat of clear epoxy seal. Apply one to two more coatings of clear epoxy seal. Has Your Home Already Been Flooded? If you’re already dealing with the aftereffects of a flood in your home and you’re wondering whether it’s possible to clean a flooded carpet, it’s best to call carpet cleaning experts quickly to prevent mold growth. Don’t waste time. Use TalkLocal to find qualified carpet cleaners operating in your area within minutes. Contact us now! From burst pipes to excessive rains, flooding can cause damage to your home and belongings. Although water damage usually happens when you’re not expecting it, your response is crucial. To reduce water damage, it is necessary for the water to be removed immediately. When you experience a flooding emergency, you will need commercial water extraction quickly from trained technicians with the proper equipment to remove the water from your flooded home. – Shut off the water source, if possible. – Shut down the main power supply to your home. If there are small electrical gadgets in the flooded rooms, see if you can safely remove them. – If there is sewage damage, don’t use fans or your heating/air conditioning unit, because contamination may spread around your home. – Never use your home vacuum or wet/dry vacuum to extract the water. – Do not walk on wet carpets. – Keep drapes and furniture skirts up and safe from coming into contact with flooded floors. – Take away all small furnishings from wet carpets. – Put aluminum foil beneath the legs of furniture to prevent stains on the carpet. Remove any item from the wet carpet that may stain it. – Make sure to wash your hands after you handled a water-damaged carpet or any object. When you call for commercial water extraction, the contractor will bring heavy-duty equipment to remove freestanding water in your home. Afterwards, water will be extracted from your upholstery, carpets, and carpet padding. In some instances, it may be necessary to remove the carpet, padding, or both to allow proper drying. They will also use industry-grade equipment for drying and dehumidifying all affected areas in your home thoroughly, restoring your home’s normal humidity levels. A special device may also be used to detect any hidden pools of water that remain. All commercial water extraction procedures and techniques are performed to help reduce potential secondary damage as well as microbial growth. The crew will perform daily monitoring of the drying process, adjusting the equipment when necessary. Once the affected areas and belongings are completely dry, they will restore your rooms and furniture back into place. The commercial water extraction firm may also be able to help with the filing of your insurance claim. Need Commercial Water Extraction Now? Don’t waste time. Find expert help quickly with TalkLocal, your quick link to local service professionals. Speak to up to three reliable professionals within minutes! Having your carpets cleaned is undoubtedly one of the simplest ways to give a fresh look to your home as well as extend the life of your carpeting. While you can simply rely on professional carpet cleansing services to do all the work, you can make the most of this service and get the best results possible by doing these simple things before the cleaners arrive. 1. Vacuum and clean up. If the carpeting is especially dirty, doing some preliminary vacuuming is helpful. 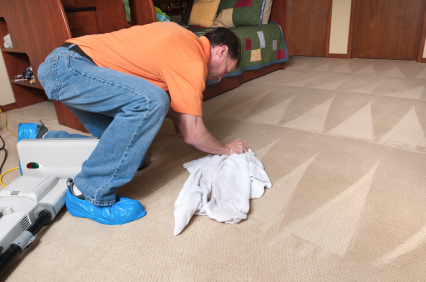 With as much of the dirt removed from the carpet before the actual service starts, the cleaners can focus right away on removing the embedded dirt. Some companies actually expect homeowners to vacuum their carpet prior to the arrival of their technicians, so you may want to check this with your service provider. It’s also a great idea to dust baseboards and clean HVAC registers before any work begins so your carpets will not get dirty too quickly following carpet cleansing services. 2. Protect fragile and valuable items. First, remove all fragile objects from the area to be cleaned, such as porcelain items, vases, or any potentially breakable item and keep them in a safe area. In addition, you want to make sure that any valuable item you may have in the rooms to be cleaned are removed and stored away in a locked room. While reputable providers of carpet cleansing services perform rigorous background checks on their employees, it won’t hurt to take an extra measure to safeguard your possessions. It may be necessary to clear the room to be cleaned by moving furniture out of the way. Some providers may charge less if the room is empty or if they only need to clean areas with high foot traffic, which means they don’t have to move furniture. If you require wall-to-wall carpet cleansing services, ask a potential provider about any additional charges for moving furniture. In addition, clear the floor of smaller items like lamps, boxes, shoes, wastebaskets, clothes or toys so these don’t get in the way of the carpet cleaners. Find a local contractor to clean your carpets at home. TalkLocal will connect you with reputable and pre-screened carpet cleaners in your area. Contact TalkLocal now. A hot water extractor, also known as a carpet extractor, is carpet cleaning equipment powered by electricity that utilizes hot water and detergent, along with a mechanical scrub brush and powerful suction, to remove deeply-seated dirt and particles from wall-to-wall carpets. While the configuration of a hot water extractor will depend on the brand, the basic steps to use it are the same as with all other units designed for home use. 1. Move out all furniture from the area you’re cleaning. 2. 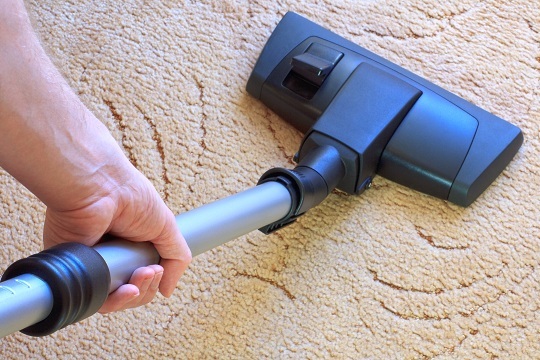 Before you use the hot water extractor, vacuum your carpet thoroughly. 3. Remove the upper tank of the extractor to access the lower tank, which holds the cleaning solution. Into the lower tank, pour carpet cleaning solution (8 ounces, or use the quantity recommended by the solution maker). Some extractors have a separate container to dispense the cleaning solution. Pour a bucket of hot tap water into this tank until it’s full. Put the upper tank and lid back into place. 4. Check that the extractor’s floor nozzle and brush are at the correct height for your type of carpet. 5. Plug the hot water extractor into the appropriate electric outlet. 6. Start in one corner. Switch on the solution pump and then the vacuum motor. Press the correct button or lever on the extractor’s handle to apply the cleaning solution to your carpet. Turn on the scrub brush. 7. Walking backwards, pull the extractor along with you by its handle to go over the carpet to be cleaned. Apply some more cleaning solution if you have to. To move the extractor forward, rock it back on the wheels to tilt the floor nozzle up. Make each pass overlap. 8. Make sure there is no excessive foam building up in the upper tank, which can damage the motor. If there’s too much foam, add a solution to the tank of 1-ounce de-foaming agent for every 2 gallon-tank. 9. When the recovery tank is already full or you’ve run out of cleaning solution, switch off the scrub brush, solution pump, and motor. Empty the recovery tank and rinse it clean or refill the hot cleaning solution. Restart the hot water extractor to continue the job. 10. When you’re finished, open the doors and windows to ventilate the room. Let the carpet dry thoroughly before moving the furniture back or allowing anyone to walk on the carpeting. Complete drying generally takes up to 24 hours. Looking for a Carpet Cleaning Expert? 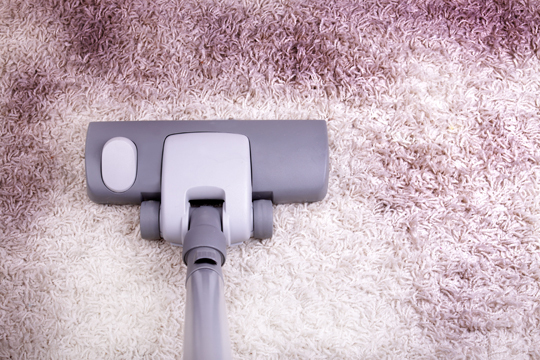 Cleaning the carpets at your home can be a tedious task. Use your time and energy on more important things, and experience the benefits of high-quality carpet cleaning services. Use TalkLocal to locate the most reputable carpet cleaners in your area, quickly and with the least effort. When you’re carpeting has been flooded, for whatever reason, you need to act quickly to address the situation. First of all, identify the source of the water entering your home. If possible, stop the leak. However, if contaminated water is involved, do not attempt the carpet water extraction or clean-up on your own. Black water or contaminated water is not just simply dirty. It is laden with all sorts of disease-carrying pollutants from sewage or floodwaters. In this case, it is a must that you call a professional water restoration and carpet cleaning company for help. Avoid coming into contact with contaminated water or with the wet carpeting until the professional crew arrives. Before you start the extraction, move out the furniture in the room, especially wood furniture that can emit its wood stain or finish and permanently stain your carpet. Also, make sure to remove all other objects that have been damaged or affected by the flooding or leakage such as cushions or clothing that may obstruct the carpet water extraction and drying process. The most important thing to remember about this task is that you need to use a carpet water extractor or a wet/dry vacuum and not a regular home vacuum. Carpet water extractors can be rented from your local hardware store and retail stores, among other sources. To start extracting water, slowly go over the entire affected area with the vacuum wand. Continue vacuuming until you can see there’s no more water being suctioned into the tank. It may take you some time to finish depending on how saturated the carpet is. When you’ve extracted all of the water from the carpet, empty the extractor’s reserve tank. Vacuum the carpet one more time for good measure. Adequate air circulation is very important to restore wet carpets successfully. To speed up the drying process, consider installing a dehumidifier or an industrial-sized fan. Leave this equipment running continually until your carpeting has dried thoroughly. Keep the fans on for up to 48 hours to make sure the carpet padding dries completely. While having your own carpet cleaner at home is great, sometimes it’s still necessary to call for professional service. To locate reliable carpet cleaning companies in your area, use TalkLocal. We’ll connect you directly with qualified carpet cleaners in just a few minutes! The ideal carpet cleaner is lightweight and easy to use. Buying your own home carpet cleaner allows you to clean your carpets whenever necessary, which is very convenient since accidental spills do happen at inopportune times. Cleaning your carpets yourself will also save you professional service costs. Look for a carpet cleaner that offers excellent agitation by way of having two or, ideally, more brushes. The more brushes the cleaner has, the more it can thoroughly lift dirt from the carpet. Another important factor in a carper cleaner’s performance is suction, the best kind of which is surround suction, which will extract water from the area covered by the base of the cleaner and not just from the front of it with one nozzle. The best home carpet cleaner will also feature heated air-drying for quicker drying times to prevent damp and musty carpets, and a built-in tank heater for hot water supply that’s necessary to kill bacteria and germs. Your needs should determine your choice of a home carpet cleaner. What is your primary use for the machine? If you want to buy one because you want a convenient way to clean frequent spills and messes from children and/or pets, then choose a lightweight design, which would be much easier to use since you need to operate the cleaner more often. Also, for pet owners, choose a cleaner that allows heated cleaning so you can sterilize your carpets. Look for one with detachable brushes for easy removal of tangled pet hair. If you only need a home carpet cleaner for periodic cleaning of your rooms, choose one with a large-capacity tank. Consider your type of flooring. Choose a cleaner with vertically revolving brushes if you have a shaggy, high-pile carpet, and a cleaner with horizontally spinning flat brushes for low-pile carpets. With the right accessory and tool, removing stubborn dirt and cleaning hard-to-reach areas would be easier. The ideal home carpet cleaner will have useful accessories like a hand-powered tool with a rotating brush, on-board tools for cleaning furniture and upholstery, or edge cleaners to clean edges of corners and walls. Most carpet cleaners come with a one-year warranty, but the best ones offer up to three years of warranty, which will give you longer protection in case the machine has a mechanical problem. Always check if the product you’re interested in has a service center in your area. While it’s great to have your own home carpet cleaner, sometimes a professional service is still necessary. To find reliable carpet cleaners in your area, use TalkLocal. We’ll connect you with the service professional you need in just a few minutes! What Makes Sears Carpet Cleaning Services So Special? Sears carpet cleaning services meet your highest-quality standards without burning holes in your pockets. You don’t have to worry about hidden costs, and the results last for a long period of time. On top of that, the company also enables its clients to profit from a wide range of carpet deodorizers and carpet protectors, allowing them to keep their rugs looking and smelling like new for weeks in a row. Sears often surprises customers with special offers and also provides many other types of services, including upholstery cleaning, air duct cleaning, and professional tile and grout cleaning at your best convenience. This way, while you clean your rug, you can also solve various other household problems that may have been on your mind for a while now. Chances are that there are hundreds of types of carpet cleaning services in your area, so how could you possibly choose the best ones? When in doubt, just call a carpet cleaning expert who lives and works near you. Spot the most competent ones with TalkLocal, your number one provider of fresh, accurate, regularly updated information. TalkLocal connects you with the right professionals, fast and free. When the majority of people think about cleaning their carpet, they only consider running a vacuum quickly over it. Unfortunately, a vacuum can’t get rid of all of the microscopic bacteria that get brought in from outside and cling to your carpet. Deep cleaning your carpet regularly can eliminate any unwanted guests, instead of inviting them in with their perfect living environment. Keeping yourself and everyone around you in a healthy environment is very important. Everyone’s heard of dust mites, and no one wants them around. Just the fact that they leave traces of feces all over your carpet alone causes a large amount of disgust. The feces these dust mites leave around contain common allergens which aren’t good for anyone’s health, so just a quick clean can eliminate these unwanted guests in no time at all. Sadly, dust mites aren’t the only thing lurking about where you can’t see, and they obviously aren’t the only things causing your allergies. Pollutants also get caught in carpet, and vacuuming alone can’t get rid of these particles. Simple activities such as walking can cause these pollutants to be freed into the air, leaving you exposed to certain allergens. Due to the moisture in the air, as well as the humidity and warmth, your carpet has the ideal living conditions for mold growth. Moldy carpets are a much more common occurrence than most may like to believe. You’ve cleaned the house spotless, made sure your carpet is clean enough for little hands to be placed all over it, and you’re pretty confident that you haven’t missed a single spot. Children are very active and love to run around, inside and out. This allows bacteria from outside to be spread into your home and thrive and multiply in ideal conditions. Toddlers especially spend a lot of time on the floor crawling around. The germs on these items will be dramatically reduced when there is a lot less bacteria on the carpet to be transferred onto toys and anything else that they might get their hands on. As time goes on, it’s only natural that the color of your carpet darkens but because it changes gradually, so that the carpet you once bought is a completely different color to the carpet you have now. Restoring the original color of your carpet isn’t as difficult as it seems however, and steam cleaning your carpet can improve the color by lifting the dirt away from the fibers in your carpet. There is a variety of different machines you can buy or rent that are designed to give your carpet the best clean. 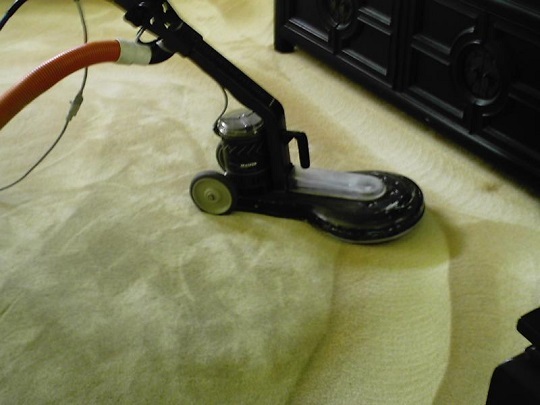 A different option is to hire a cleaning company that specializes in carpet cleaning. Find the best carpet cleaning companies in your area with TalkLocal, your free connection to the best local professionals.